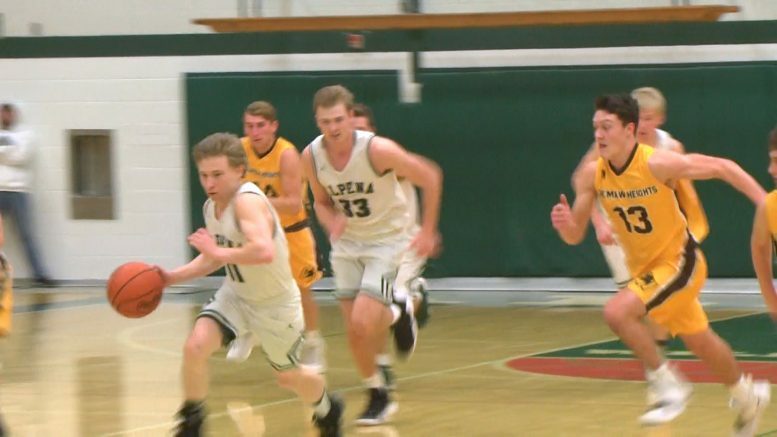 Aidan Goike goes coast to coast during Alpena's blowout win against Ogemaw Heights. Alpena, Mich — Alpena’s boys basketball team hosted their senior day Thursday against Ogemaw Heights. The Wildcats will graduate 8 seniors following the season. Alpena won the game easily, defeating Ogemaw Heights 77-49. The win improves Alpena to 15-2 overall. the Wildcats will look to build on their 5-2 conference record when they travel to Cadillac on Monday. 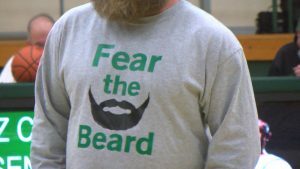 Bruz Copping’s parents brought out their fear the beard shirts as Bruz was honored in front of the crowd. In the video, Aidan Goike is credited with 21 points. The proper total should be 17, not 21.